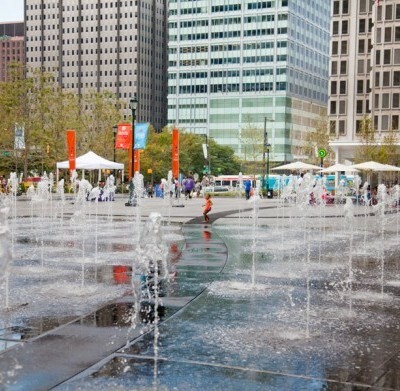 Dilworth Park on the west side of City Hall offers tree groves, a cafe, and a splash fountain that converts to an ice skating rink in winter. Maintained by Center City District. Casual family-friendly café offers a quick-stop breakfast for the weekday morning commute, lunch for families exploring the park, or an afternoon pick-me-up for tourists visiting area museums. 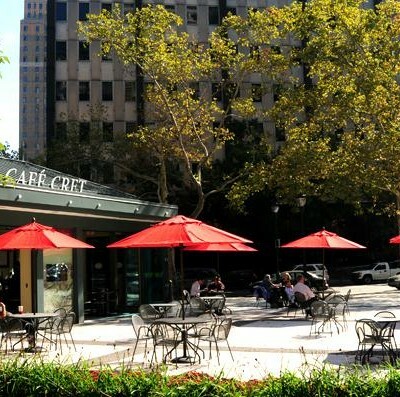 An inviting casual cafe on the Benjamin Franklin Parkway. 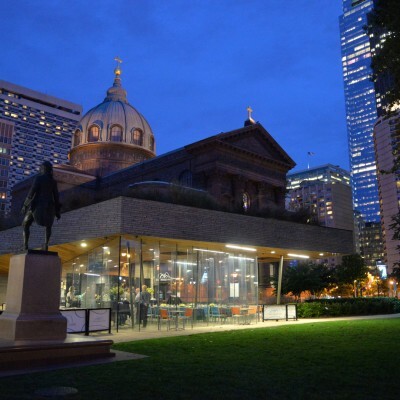 Housed in a glass pavilion, with outdoor seating in view of Philadelphia's iconic "Love" sculpture, the cafe offers breakfast, lunch and dinner.